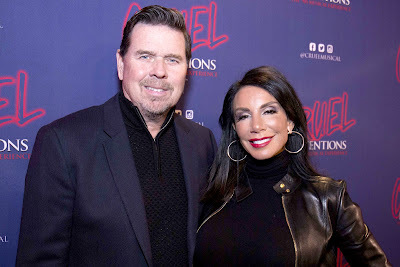 iRealHousewives | The 411 On American + International Real Housewives: Danielle Staub’s Estranged Husband Marty Caffrey Puts Their Home Up For Sale Without Her Knowledge! The drama between Danielle Staub and her estranged husband Marty Caffrey continues. It's been reported that the Real Housewives of New Jersey star was blindsided when she learned through a friend that her ex had put their home up for sale. TMZ reports that Danielle "found out about the listing first thing Thursday morning when a friend called her." The outlet claims that Caffrey listed their New Jersey mansion for over $2 million. Apparently, Danielle started crying when she got the news. According to TMZ, "she called Marty to hear it from the horse's mouth, and then called her lawyer to see if she can block the sale." Last month, Staub revealed that she and Caffrey are still living together and that the situation was "uncomfortable." As previously reported, Staub and Caffrey tied the knot in front of Bravo cameras in May for the upcoming ninth season of the Bravo hit reality series. However, the two ended their relationship after nearly four months of marriage.